The EMT Paramedic is a professional provider of emergency care who must possess the essential attributes that are demanded by the profession, including general academic ability, physical abilities, interpersonal relationship skills, capacity for appropriate judgment and orientation toward human services. Class size is limited. 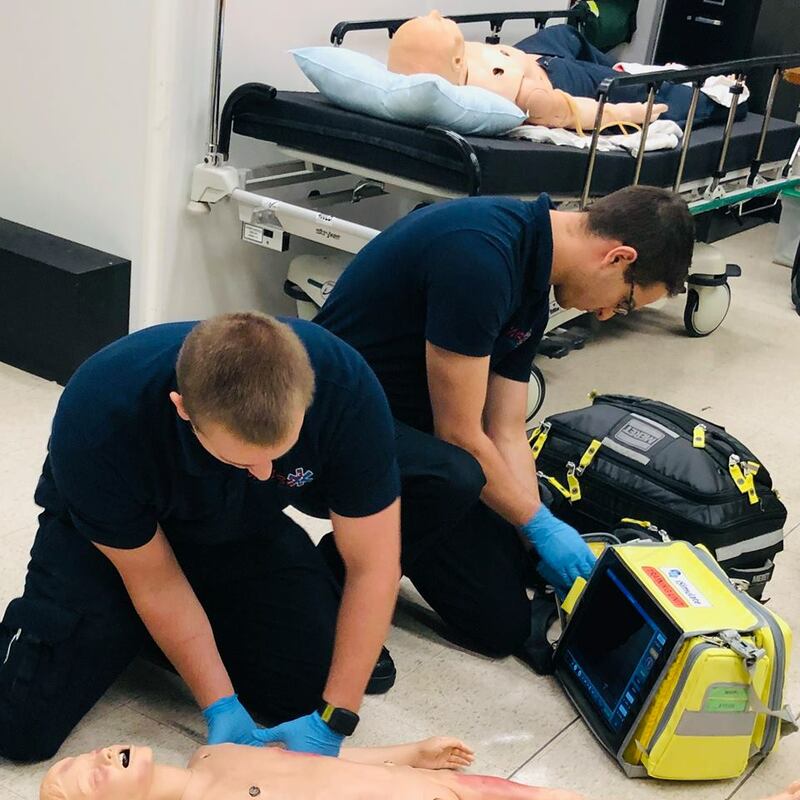 EHS paramedic concentration majors are required to submit a formal application to the paramedic track by March 1, preceding the first semester that the student is eligible to take paramedic clinical courses (which is normally the Junior year). All EHS paramedic concentration lower-division requirements must be completed with a grade of “C” or higher prior to taking any paramedic clinical courses. Verification of a background investigation. The program reserves the right to require drug screening prior to or at any point in the program. The application package, including academic record, will be reviewed by a selection committee. Final selection of students will be based on a personal interview, the ability to complete any remaining credit hours of EHS paramedic concentration lower-division requirements prior to the beginning of the first semester of paramedic clinical courses and the student’s previous emergency care experiences. Interviews are scheduled in April. Applicants with misdemeanor or felony convictions should contact the program director prior to applying. Paramedic concentration students are required to purchase malpractice insurance through the university and scrubs and clinical uniforms from the department while engaged in clinical and field experience. Other fees and costs may be associated with participation in clinical and field training. Students are required to provide their own transportation to clinical and field experience sites. Personal health insurance coverage is strongly recommended. The University of Maryland Baltimore County (UMBC) Paramedic Program is accredited by the Commission on Accreditation of Allied Health Education Programs (www.caahep.org) upon the recommendation of Committee on Accreditation of Educational Programs for the EMS Professions. The program is also accredited by the Maryland Institute for Emergency Medical Services Systems (MIEMSS).